Duane Allman left us too soon. He was a visionary rocker, brother to Greg, and one of the original Allman Brothers band members. He was a versatile and sought-after guitarist, and earned the respect of legendary musicians. His nickname, "Skydog" was formed by mixing two other names. Wilson Pickett, the famous R&B singer, called him "Skyman", and Duane's other friends called him "Dog" because of his long hair and sideburns. After kicking around in various bands, Greg and Duane got together in 1969 to form The Allman Brothers Band, and their eponymous first album was released late that year. In March 1971, they recorded "Live at Fillmore East" at the iconic club in New York City. 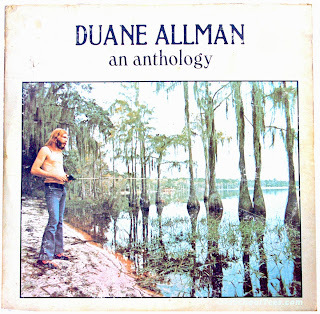 Duane was killed before he could see the success of the album. On October 29, 1971 in Macon, Georgia, he swerved his motorcycle to avoid a lumber truck that had stopped suddenly at an intersection. He died of injuries sustained in the accident, at age 24. The band finished an album they were process of recording at the time of his death. They named it "Eat a Peach", in tribute to a response Duane had given an interviewer who had asked how he was "helping the revolution." Duane replied "There ain't no revolution, only evolution, but every time I'm in Georgia I 'eat a peach' for peace." 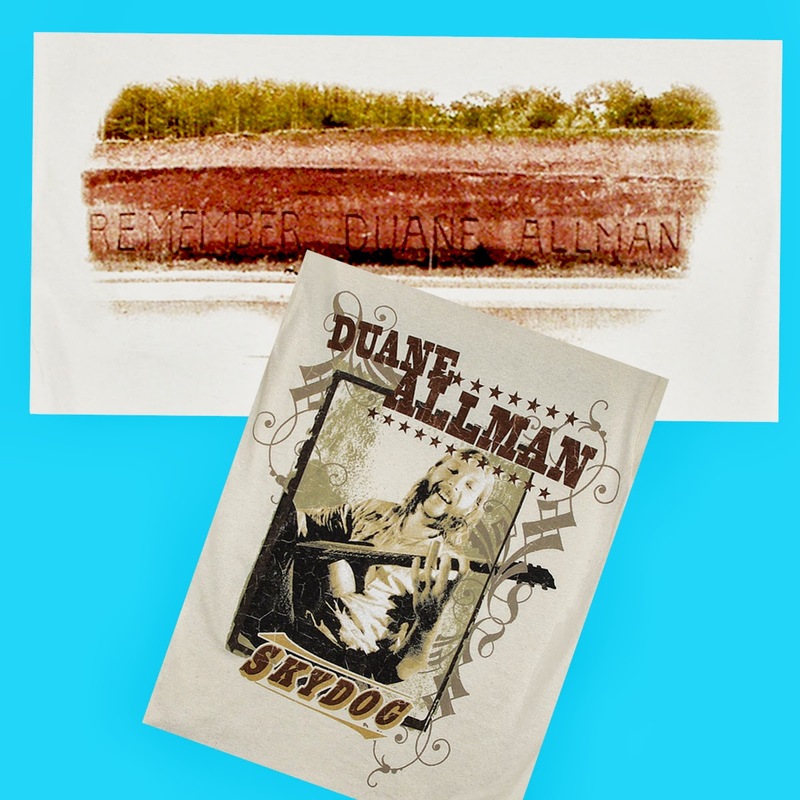 In 1973, in Vicksburg, Mississippi, fans carved the very large letters "REMEMBER DUANE ALLMAN" in a dirt embankment along Interstate Highway 20. This public memorial lasted for over 10 years. 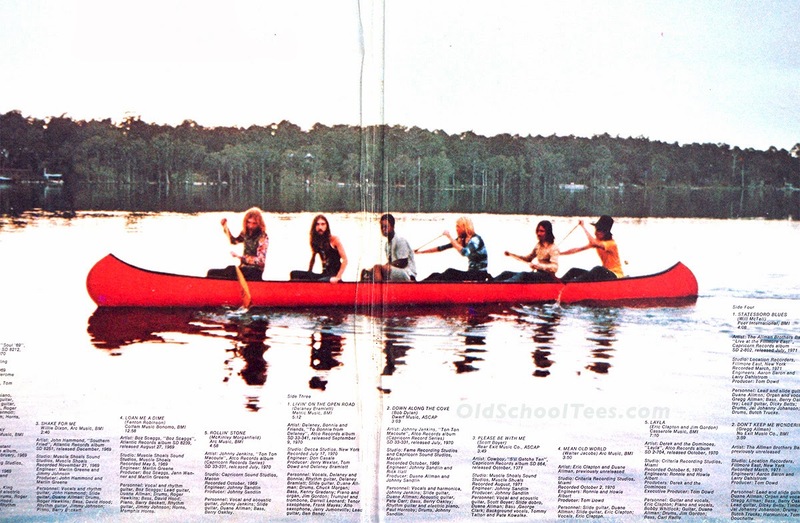 A photo of the tribute was published in Rolling Stone magazine and in the Rolling Stone Illustrated History of Rock & Roll. Old School Tees has several shirts that pays tribute to this incredible artist. 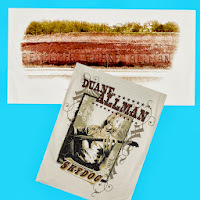 The Skydog shirt (left) has the guitarist on the front and a photo of the memorial in Vicksburg on the back. 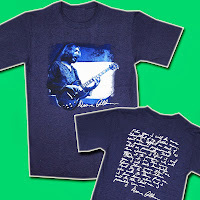 The Quote shirt (right) features a distressed vignette photo of Duane playing his guitar on the front of the tee. On the back is a a handwritten quote from his diary, dated January 1, 1969. It reads: "This year I will be more thoughtful of my fellow man, exert effort in each of my endeavors professionally as well as personally. Take love wherever I find it, and offer it to anyone who will take it. In this coming year I will seek knowledge from those wiser than me, and try to teach those who wish to learn from me. I love being alive and I will be the best man I possibly can. "Rock on, brother. These words are worthy to wear every day.